American Association regarding health examined the consumption of Soft Drinks. Drinks was associated with lower intakes of milk, calcium, proteins and other nutrients that can damage health e.g., causing diabetes etc. There is an inverse pattern between soft drink consumption and milk consumption – when one goes up, the other goes down. Drinking carbonated water will leech calcium from your bones, causing osteoporosis. Others claimed that carbonated beverages can harm the enamel on your teeth, irritate your stomach, or even cause cancer. Let’s sort fact from the fiction. In fact, the most recent research suggests that the reason people who drink a lot of cola have weaker bones is not because something in the soda is robbing calcium from their bones, but because they tend to have lower calcium intake. So this’s how cold drinks effect your health? Sugar and acids in tooth enamels easily dissolves tooth enamel. When tooth decay reaches the nerve, the root, and the area at the base of the tooth, the tooth may die. High fructose Corn Syrup in drinks has been associated with an increased risk of metabolic syndrome, and heart diseases. Soft drink cans are coated with a resin that contains bisphenyl A (BPA). It is cancer causing chemical found in bottles, plastics, potentially causing premature puberty and reproductive abnormalities. Drinks containing Phosporic Acid has been associated with breakdowns of bones causing Osteoporosis. Those who more drinks has 80% increased rate of diabetes. Risk of obesity increases 1.6 times with each additional soda consumed. Sodium Benzoate found in Sodas reduce the availability of potassium and causes Asthma. Getting enough calcium is more important during childhood when bones are being built. 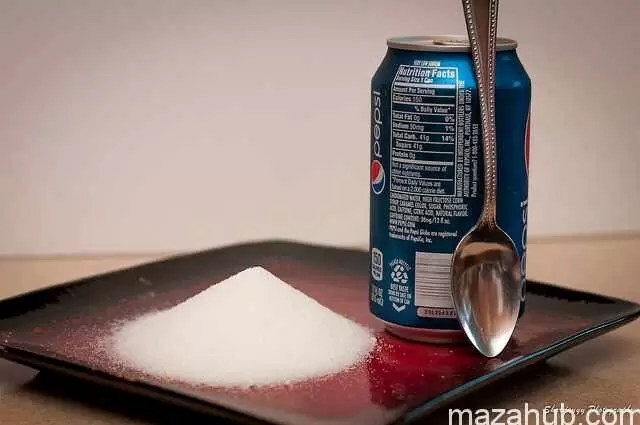 Soda contains high level of phosphate. Drinks are generally devoid of Calcium and other healthful nutrients. Milk is a good source of calcium and protein and provides a variety of Vitamins. People who drink a lot of sugary drinks often tend to weigh more—and eat less healthfully—than people who don’t drink sugary drinks. The fizz in itself is not harmful but soft drinks often have other ingredients that you have to be careful about while pregnant. Most soft drinks such as colas contain caffeine. Caffeine is known to cross the placenta barrier and reach the growing baby. In small doses caffeine doesn’t harm your baby, but excess caffeine could decrease blood flow to the placenta and affect your growing baby. In large doses (3 cups of coffee and more), it also increases the risk of miscarriage. 32 glasses of high pH alkaline water. Preservatives are added into soft drinks to prevent spoilage, and to prolong shelf life. Storage conditions and time can affect the taste and flavor, and these preservatives help to preserve that. Most soft drinks contain artificial flavouring and preservatives. Diet sodas may also contain artificial sweeteners. Large amounts of any of these (sugar substitutes, preservatives, artificial flavour and colors) are not suitable for pregnant women. Soft drinks also add empty calories to your body without any nutrients. And you’ll want to make every calorie count when you’re pregnant.